Prostate cancer is one of the most common cancers affecting men – just right after skin cancer. Why men develop prostate cancer is currently not known, but there are some theories. Most researchers believe that the cancer may have something to do with the male hormone testosterone. Prostate cancer is also more common in older men making age a known risk factor for prostate cancer. Other risk factors for prostate cancer are a genetic predisposition and being overweight. A growing body of research is focusing on ways to prevent prostate cancer with lifestyle and dietary interventions. The food you eat is known to impact your overall health so why shouldn’t it affect your prostate health as well? 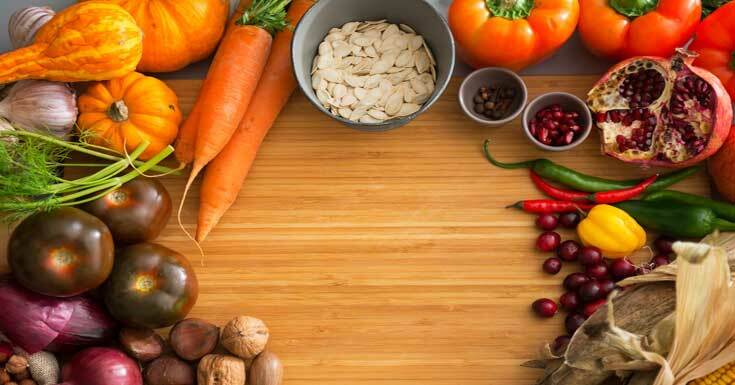 With that being said, here are 4 superfoods scientifically-proven to support prostate health. Turmeric is a spice from the turmeric plant used commonly in Asian cuisines. Turmeric has a slightly bitter taste and a rich yellow color that is mostly due to a chemical called curcumin. Curcumin, which is the dominant chemical of turmeric, was recognized by medical experts to have strong anti-inflammatory properties. Studies on curcumin show that it inhibits a pro-inflammatory protein called NF-?B while at the same time causing programmed cell death and as such worked as both prevention and treatment of prostate cancer. Furthermore, a study on mice published in Nutrition and Cancer found that makes the prostate gland more sensitive to chemotherapy and radiation therapy while at the same time protecting healthy cells in the body from the harmful effects of these cancer treatments. For all these reasons, turmeric should become a big part of your diet that will help you maintain optimal prostate health. You’ll see the pomegranate fruit being sold on markets between September and February in the Northern Hemisphere so make sure to not let the pomegranate season pass you. Pomegranate is a rich source of ellagic acid which is an antioxidant found in many other fruits and vegetables. These antioxidants were clinically-proven to stop cancer cells from spreading and even caused cancer cell death. Epidemiological studies on pomegranate suggest that this delicious superfruit protects against cancers, cardiovascular disease, diabetes, and many other diseases as well. A study published in Clinical Cancer Research found that men drinking pomegranate juice had lower levels of prostate-specific antigen (PSA) following chemo and radiation therapy. These men showed rising PSA levels prior to taking pomegranate juice and right after cancer treatment. Other than ellagic acid, pomegranate contains other nutrients than men may find beneficial such as vitamin C, folate, potassium, and calcium. Men searching for alternative prostate treatments have most likely heard about the benefits of tomatoes for prostate health. Most studies focus on lycopene as the main health-promoting chemical found in tomatoes. Lycopene is an antioxidant found abundantly in tomatoes that research has found prevented several types of cancer. One study even found that lycopene inhibits the proliferation of cells in tumors that had androgen receptors such as the ones that usually cause prostate cancer. Lycopene was also found to reduce inflammation and swelling in men with chronic prostatitis – a condition caused by an infection of the prostate gland. Since prostatitis is another risk factor for prostate cancer, anything that reduces inflammation and swelling in the prostate gland can be said to reduce prostate cancer risk. Pumpkin seeds can support overall prostate health in addition to preventing prostate cancer. They are rich in zinc which is a mineral important for normal prostate functioning and whose levels decline as men age. Research on pumpkin seed oil found that it helped reduce symptoms in men with benign prostatic hyperplasia which is another term for an enlarge prostate. Furthermore, a study published in Urologia Internationalis found that pumpkin seedscan block prostate growth caused by testosterone in male rats. Although certain phytochemicals in pumpkin seeds can help protect the prostate gland from the harmful effects of hormonal imbalances, it is the relative abundance of zinc in pumpkin seeds that offers the most benefits. Research shows that men with an enlarged prostate and prostate cancer have lower levels of zinc in their prostate gland compared to healthy men. See Also: 4 Way Prostate – Does 4 Way Prostate Work? Most men develop problems with their prostate gland as they age. An enlarged prostate and even prostate cancer is very common problems that many men face. 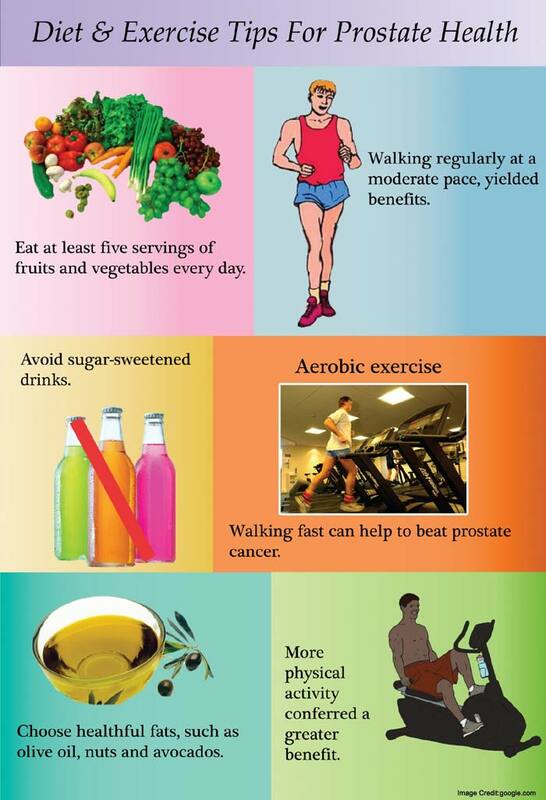 Maintain a healthy body weight and active lifestyle is one way to reduce your risk of developing these conditions. Another way is to include superfoods into your diet to prevent cancer cells from spreading and even improving your prostate health. Many of the superfoods listed here are rich in nutrients and powerful antioxidants proven to have a positive impact on prostate health. Men experiencing problems with an enlarged prostate may benefit from foods containing the mineral zinc which is an important mineral for normal prostate functioning.